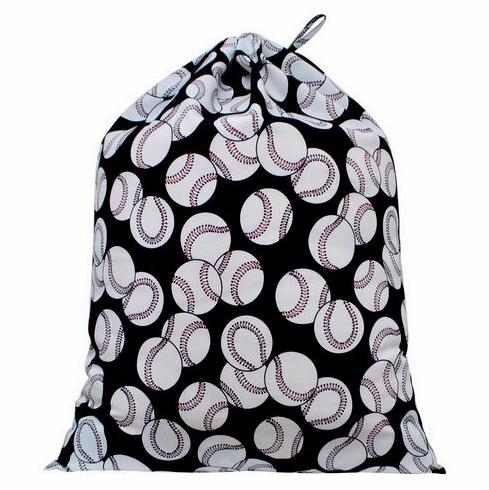 Baseballs on Black Drawstring Laundry Bag. Measures appx. 33" x 26". Click here to see all the matching Baseballs on Black Gift Items!